Old Un's site, or how the old age "go crazy"
Being amateurs dormant in me since childhood. The first steps towards realization of my dream was due to the fact that I was in 1955 enlisted in the OSR (Vocational School radio operators). After a year of dressage, I was quite capable radio operator. In summary, I took 180tku mixed text. Better was the only Mr. Krbec, but which had the advantage against me that his father was chairman of the Central radioclub so effectively trained from childhood. I have done in 1957 in Pilsen test SWL. But then came the summer romance with all the attendant phenomena and suddenly was not amatéření time. As the years went by, my dream melted the extent that I began to comfort "to go into retirement, so I'll have enough time. But even in retirement was not time to occupy public office. One term I worked as a councilor OU and two as Deputy Mayor. When I crossed the seventies, so I said "NOW OR NEVER. 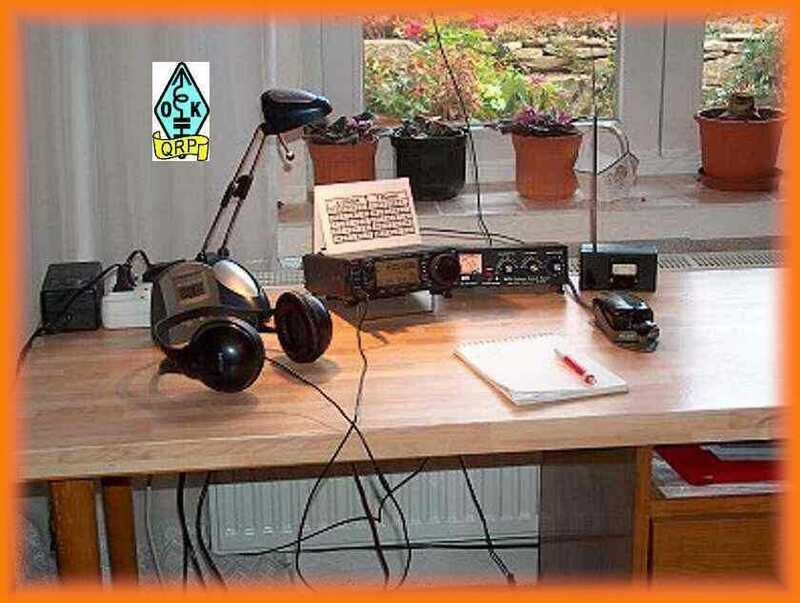 And I began to grind the rules, signs and Q codes and everything attributable to Amateur radio. In May 2007 I was invited to Prague for the test. In the test of telegraphy, where I always argued that it was slow, we finally stopped at 100 characters / min. After that I extempore investigator persuaded me to do a class A. I guess he thought that I would not have to wait for the next test hi hi. Today I am grateful to him. When I came to the necessary permissions before it started right nut. For a start, I zbastlil QRP TRX just over 1 W. Just in the beginning I had a goal to work with QRP. The army, I "ran" with raz KW and 5 KW. That convinced me that there is no art to make connections with such guns. About a month later I bought a QRP TRX IC-703. I reached drátovku about 40 - 50 m, both above our house grew lime and walnut, "nažhavil RMmáckej Key" and began to chirp. The bands I almost every day and standard with 5 W. In November I purchased the tuner MFJ-904H - about the link, however, and CQ bastlení.